You may be assigned to give a partial bedbath during the exam. 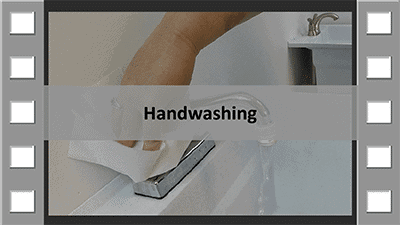 The care plan will specify what you are expected to wash during this skill. This skill will be done on a manikin and the Nurse Aide Evaluator (NAE) will play the voice of the patient. Pay attention to the care plan! 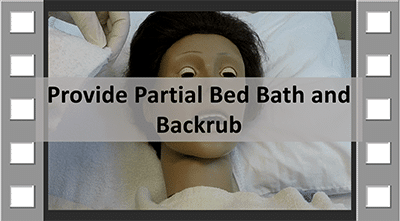 The care plan specifies exactly what should be washed when giving this patient a partial bedbath. Since the care plan tells us to only wash one arm, that is exactly what we will do! We do not need to know why we are not washing the other arm. Maybe it has a cast, a wound, an incision, a dressing, a burn, or an IV. Or possibly, that arm is undergoing a medical test that could be affected by bathing. You don’t really need to know WHY you are only washing one arm to do your job. Just follow the care plan! A Manikin is a Patient, too! Treat the manikin as you would treat a real, live patient. Tell them what you will be doing. Protect their privacy. Keep them safely in the middle of the bed. Treat them gently. If you wouldn’t do something to a real person, don’t do it to a manikin either! When you get water for washing, check it with your wrist to ensure it is warm. Have the patient check it too! Basins are no soap zones. Whatever we wash, we rinse; whatever we rinse, we dry. Don’t get the bed wet. Warm lotion before applying and wipe off the excess. 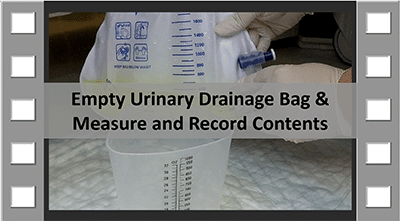 Rinse, dry and store your basin when done. These are all general washing rules that must be used for every bathing skill. 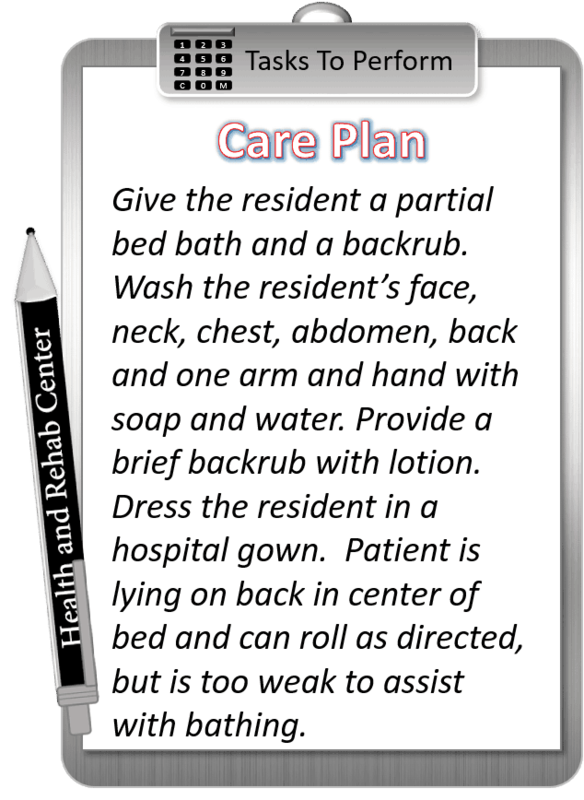 The care plan will instruct you to give the patient a brief backrub. This is not a massage. You are not a massage therapist; you are not trying to relieve pain or release myofascial rigidity. There is no “deep-tissue” anything going on here. This is a simple backrub to stimulate circulation and make the patient feel good. 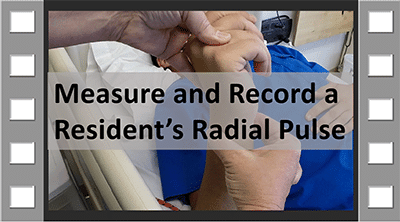 A simple backrub can make a world of difference in a patient’s life! By following your care plan exactly and remembering your washing rules, you will master this skill in no time! Now, go practice! Previous PostTesting Tip: Water Temps!